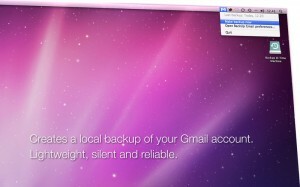 BackUp Gmail is a Mac App developed by Davide Gullo. 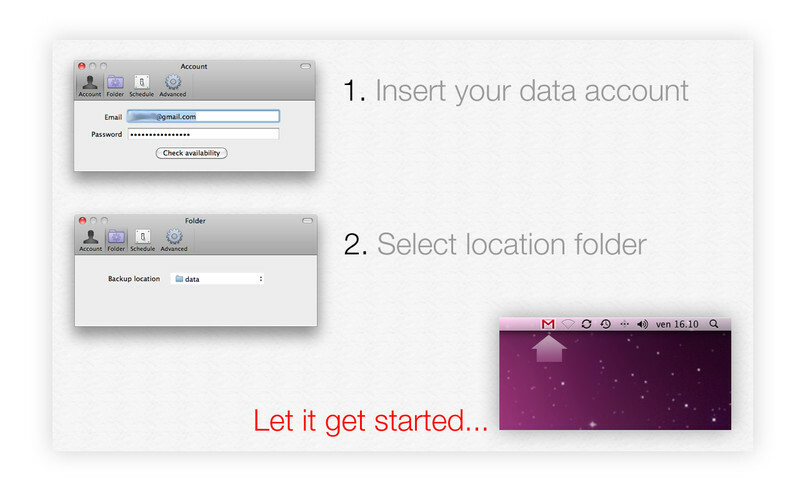 This small app creates a local backup of your Gmail contents. This makes it simple to access your past Gmail messages even if you don’t have an internet connection at the moment. BackUp Gmail self-identifies as “lightweight, silent and reliable,” which is a fair assessment of how well this backup tool works. 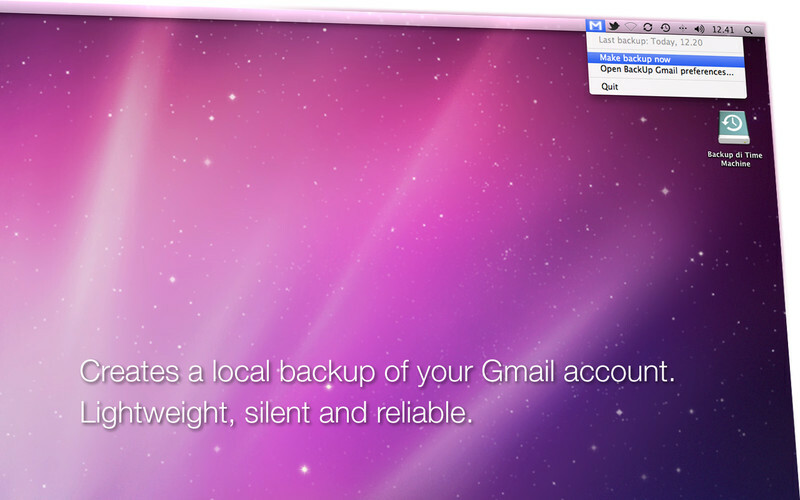 BackUp Gmail just hangs out in the background, with a small icon in your top menu bar to let you know its running. You can also backup multiple Gmail accounts with BackUp Gmail, which is great for people who separate their work and personal emails. 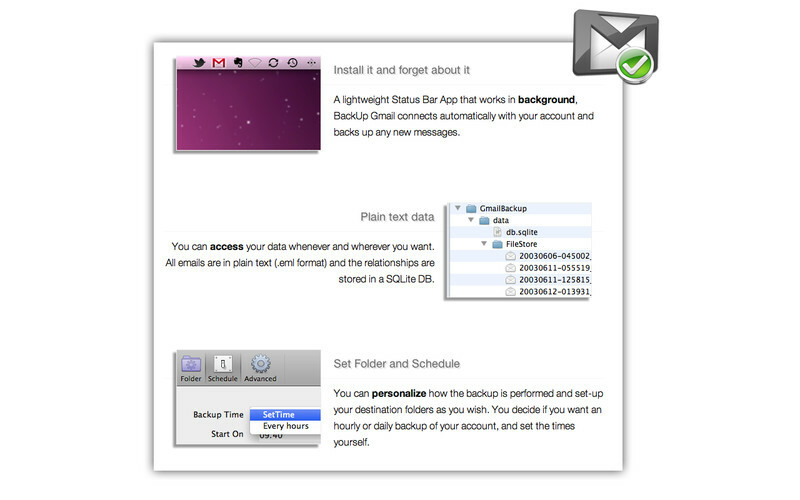 You can personalize your settings so that backups are performed hourly or daily. All emails will be accessible in plain text format. One kind of cool thing that BackUp Gmail offers is a Trash database. Basically, once you’ve backed up an email once, it stays backed up. If you delete that email online in Gmail, that email gets moved to the Trash in BackUp Gmail: but it never gets deleted there. It remains there as a record of the fact that you deleted it. The most recent version of BackUp Gmail is Version 1.6. In this version, a number of bug fixes have been introduced. In addition, Version 1.6 features improved error messages, new logs, and fixes to ensure better memory and performance. Overall, BackUp Gmail is a solid Mac App that can help you access your old emails when your connection is down, or locate emails that you’ve deleted in the past. Featuring a simple UI and a small footprint, this tiny app is mighty useful. 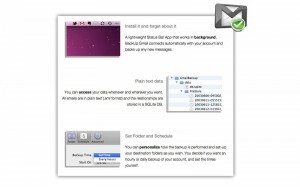 BackUp Gmailis compatible with OS X 10.7 or later,64-bit processor.